IN THE DAYS of pre-internet capitalism the troubles of one dominant company in an industry tended to be good news for its rivals. In today¡¯s hyperconnected world a threatened ban by Western governments of Huawei, the Chinese market leader in telecoms gear, is also a worry for its competitors. 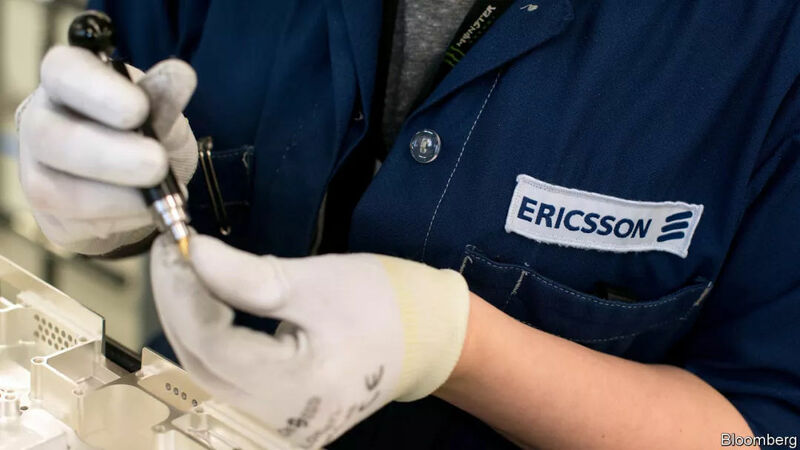 Both Ericsson, a Swedish company, and Nokia, a Finnish one, would prefer the geopolitical saga to end, the better to focus on competing for contracts related to the launch of super-speedy ¡°fifth generation¡± (5G) mobile-phone networks. The American government is not letting up its campaign to persuade allies to freeze Huawei out of 5G tenders. It worries that Huawei¡¯s kit may contain ¡°back doors¡±¡ªdeliberate security flaws inserted to allow Chinese spooks eavesdrop on, or attack, phone networks. Earlier this month, in a letter to Germany¡¯s economics minister, America¡¯s envoy to Berlin, Richard Grenell, threatened to cut back American co-operation with German security agencies if the country allowed Huawei or other Chinese firms to participate in the roll-out of 5G. Mike Pompeo, America¡¯s secretary of state, suggested in Hungary recently that doing business with Huawei could tip decisions on where America stations troops. So far Britain and Germany, among others, have not yielded to American demands. Angela Merkel, the German chancellor, said on March 19th that she does not believe in excluding a company from the German market ¡°simply because it¡¯s from a certain country¡±, though a final decision is pending. Even if America prevailed in Europe, as it has in Australia and Japan, Ericsson and Nokia are unlikely to win back much of the market they have lost in recent years. Between 2015 and 2018 Huawei¡¯s share rose from 24% to 28%; Nokia¡¯s dipped from 20% to 17% and Ericsson¡¯s from 15% to 13%. An escalation in the war on Huawei might prompt Beijing to retaliate by kicking Western firms out of China. That would be a blow to the Nordic duo. China accounted for 10% of Ericsson¡¯s 211bn krona ($24.2bn) in global sales last year. The company runs two research and development sites in China. Nokia derives a similar share of revenues from the Chinese mainland, Hong Kong and Taiwan. Extra sales in Europe in the event of a Huawei ban would not offset losses in China, argues Pierre Ferragu of New Street Research, not least because the Chinese will launch 5G a year or two earlier. More important, worries B?rje Ekholm, chief executive of Ericsson, a ban on Huawei would slow down the launch of 5G in Europe. The continent is already lagging three to four years behind America in 4G, the current generation of wireless technology, he says. Uncertainty over regulation, pricing and, most of all, how to deal with Huawei, is likely to slow Europe down further. European operators are lobbying hard to maintain the choice between three purveyors; many prefer Huawei wares, which are often cheaper (and some say better). The spectre of a Huawei ban is putting a damper on Germany¡¯s auction for 5G mobile spectrum that kicked off on March 18th in Mainz. The auction, which drew four big operators, is expected to last several weeks. All four bidders already make extensive use of Huawei hardware, such as antennae or routers. Upgrading to 5G will require splurging on new kit. Huawei wants to be one of their principal suppliers (though it may first need to meet more stringent security requirements which the German government is mulling). In November the Chinese company opened a lab in Bonn, the base of Germany¡¯s cyber-security regulator, where its equipment can be tested. Though it is possible to ban Huawei completely from Europe, its biggest market outside of China, industry insiders warn that it would be hugely complex and costly. It would be especially disruptive in countries where Huawei is deeply embedded, such as Italy, Poland and Britain, says St¨¦phane T¨¦ral of IHS Markit, a research firm. With only a hint of hyperbole Bengt Nordstrom of Northstream, a consultancy, likens the resulting shock to the collapse of Lehman Brothers in 2008. Most of Europe¡¯s roughly 200 operators of mobile networks use Huawei¡¯s 4G gear. Asked whether talk of a Huawei ban had any effect on the order books of Ericsson, Mr Ekholm responds that ¡°the candid answer is no¡±. On March 18th TDC, Denmark¡¯s biggest telecoms firm, confirmed that it was plumping for Ericsson over Huawei, its current equipment-maker, to build its 5G network. That deal, though, was struck before any concerns over Huawei were ever aired. So far, the entire controversy has been a headache for Mr Ekholm and his counterpart at Nokia, not a gift.